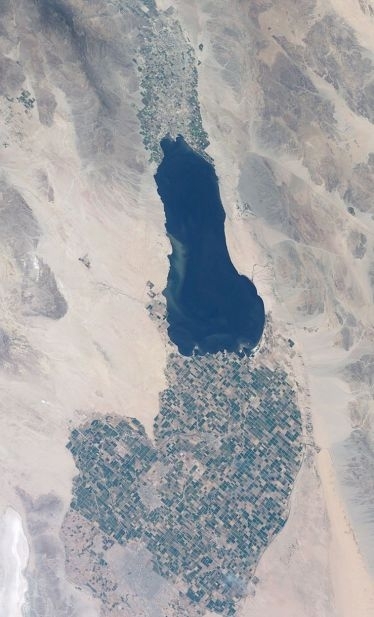 Scientists at UC Riverside investigating the composition of particulate matter (PM) and its sources at the Salton Sea have found that this shrinking lake in Southern California is exposing large areas of dry lakebed, called playa, that are acting as new dust sources with the potential to impact human health. Study results appeared recently in Environmental Science and Technology. 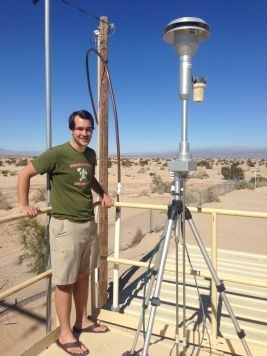 Bahreini's team set out to test whether emissions from playas change the composition of PM10 (particulate matter with diameters up to 10 microns) near the Salton Sea. The team assessed the composition of playa soils (recently submerged underneath the Salton Sea), desert soils (located farther from the sea), and PM10 collected during August 2015 and February 2016. They found that dust sources contributed to about 45 percent of PM10 at the Salton Sea during the sampling period while playa emissions contributed to about 10 percent. Further, they found that playa emissions significantly increased the sodium content of PM10. 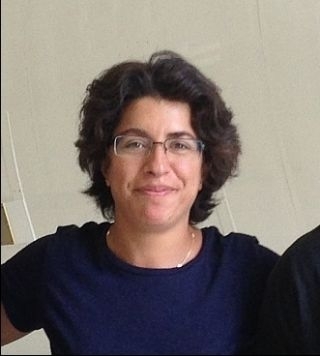 Roya Bahreini is an associate professor of environmental sciences at UC Riverside. Her team also found that playa soils and PM10 are significantly enriched in selenium relative to desert soils. Bahreini explained that selenium can be a driver of aquatic and avian toxicity. “Additionally, higher selenium enrichments in PM10 during summertime suggest that selenium volatilization from the playa may become an important factor controlling the selenium budget in the area as more playa gets exposed,” she said. Alexander L. Frie, a graduate student in environmental sciences and the first author of the research paper, urges that the Salton Sea be paid close attention since, although it is widely considered a large ecological disaster, with no serious monitoring and remediation efforts the sea may also create a human health crisis for the surrounding area. Alexander L. Frie, a graduate student in environmental sciences and the first author of the research paper, at the sampling site. “Although our results indicate playa emission may not be especially toxic when compared to other dust particles, increased emissions from a shrinking sea will reduce the quality of life of the residents within the Imperial Valley and other downwind regions,” he said. Samantha C. Ying, an assistant professor of environmental sciences and a coauthor on the paper, stresses that monitoring the increase in dust sources over time is necessary to quantify its contribution to local health problems. Another concern the researchers point out is that water that is currently diverted from the Colorado River and directed into the Salton Sea is scheduled to end before 2018. The resultant decrease of inflow into the sea will likely cause a decline in water level, exposing more playa, and therefore emitting more dust. Bahreini, Frie and Ying were joined in the study by Justin H. Dingle, a graduate student in Bahreini's lab. 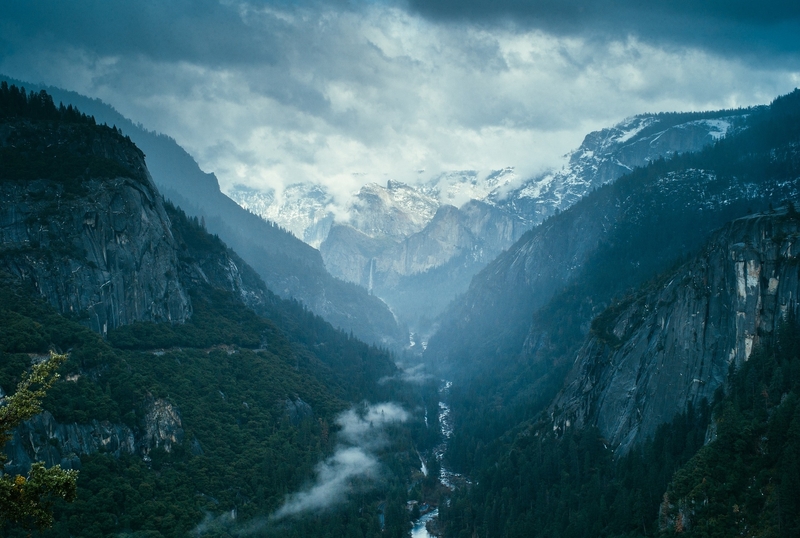 The study was funded by UCR Regents' Faculty Development Award, USDA National Institute of Food and Agriculture, a UCR Provost Research Fellowship, the U.S. Geological Survey and ANR's California Institute for Water Resources.